Riding tours in Issyk-Kul areas of Republic Kyrgyzstan. Horse ride walk in mountains southern of lake Issyk-Kul. Riding tours to lake Issyk-Kul areas of Kyrgyzstan. Village Tamga – settlement Tamga - natural boundary Tamga-Tash - pass Tamga-Bel - mountain Karal-Debe - gorge Tosor - valley Ashuu-Ter - thermal spring Djuiluu-Suu - lake Teshik-Kol - mountains Uzun-Kyr - pass Ton - river Ashu-Ter - southern coast of lake Issyk Kul - settlement Tamga. Distance of the: 711 km. Season: from July 5 to September 1. The best time for a tour: July, August. Distance in an active part of a tour by horse riding: 81 km. Arrival in Bishkek, meeting at the airport, transfer to hotel (30 km), accommodation, rest. Breakfast. Excursion on town Bishkek, visiting of the main area of the country - Ala-Too. It is Ala-Too in translation from the Kirghiz language means «Snow mountains», symbolizes the nature of the country which two thirds make mountains. The area "Ala-Too" - the most popular place in city where are spent national open air celebrations, holidays, meetings and other actions. In the center of the area the 10-meter bronze sculptural monument to the hero of national epos Manas, monument to the Kirghiz writer Chingizu Aitmatov and black-and-white monument in memory of events 2002 and 2010 towers. On the area flutters 45 meter flag of Kyrgyzstan. Visiting State museum of History of Kyrgyzstan, Nikolskii churches, mosaic monument «Friendship of people» established in 1964, visiting of monument of Great Domestic war on the area the "Victory", established in 1985, by 40-th anniversary of victory over the Second world war. Visiting of the Osh market, visiting of museum of Michael Frunze. After lunch the trip to gorge Is Ala-Archa (38 km). Walk in vicinities of natural park is Ala-Archa. Returning to Bishkek. Transfer to hotel, dinner and overnight. Day 2. Bishkek - The Tower Burana - lake Issyk Kul - settlement Tamga (315 km). Breakfast. Transfer: Bishkek - settlement Tokmok – an architectural complex the Tower Burana (72 km). Arrival on an architectural complex the Tower Burana, visiting of museum of history of complex, walk among ancient stone sculptures - Balbals, rise on tower of the Burana, view of vicinities from height of tower. Lunch in a way. Transfer: the Tower Burana – village Tamga (243 km). Our way will pass through gorge Boomskoe along the river Chu. At once behind settlement Ton stop on coast of lake Issyk Kul, walk on coast of lake photographing. Arrival in settlement Tamga, transfer to the guest house, accommodation, rest, walk on vicinities of settlement. Dinner and overnight. Day 3. Settlement Tamga - natural boundary Tamga-Tesh (12 km, 5 hours). Breakfast. Preparation for travel on horses: visiting of a stable of horses, acquaintance to the attendants, the groom and the guide and the cook. Horses riding: settlement Tamga - mountains Chegedek 2200 above sea level - gorge Tamga. On a way stop on picnic in natural boundary Tamga-Tash, walk to stone monuments of Buddhist culture, here on stones Buddhist inscriptions on huge stones were kept. Pitch up a tent, dinner, lodging for the night in tents. Day 4. Valley Tamga-Tesh - pass Tamga-Bel - mountain Karal-Debe (10 km, 5 hours). Breakfast. Horses riding: to mountains Sary-Ter - pass Tamga-Bel of 3260 meters above sea level. Lunch in a way. Placing of camp at bottom of mountain Karal-Debe 3240 meters above sea level. 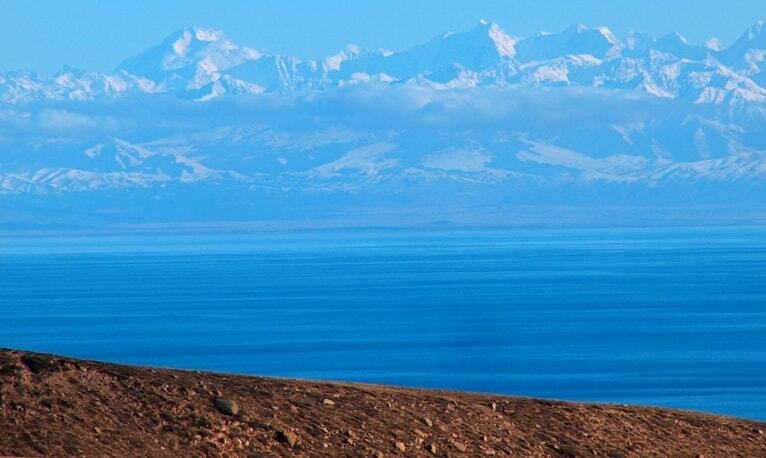 The panorama of lake Issyk Kul from here opens. Pitch up a tent, dinner and overnight. Day 5. Mountain Karal-Debe - gorge Tosor - valley Ashuu-Ter (12 km, 5 hours). Breakfast. Horses riding: an output in gorge Tosor - pass Tosor of 3893 meters above sea level. Lunch in place of panorama on valley Ashu-Ter. The further horses riding to lake Chunkur-Kol of 3673 meters above sea level. Pitch up a tent, dinner and overnight. Breakfast. Rest on lake Chunkur-Kel. Participation in horse games. Lunch and dinner, overnight. Day 7. Lake Chunkur-Kel - thermal spring Djyilu-Suu (10 km, 5 hours). Breakfast. Horses riding: river to Ashuluu-Tebe and Uchemchek - thermal spring Djiluu-Suu of 2990 meters above sea level. Lunch in a way. Pitch up a tent, dinner and overnight. Breakfast. Rest. Walk on horses to lakes Teshik-Kol of 3504 meters above sea level. Picnic on lakes. Returning in camp.Pitch up a tent, dinner and overnight. Day 9. Lake Teshik-Kel - pass Ton - river Ashuu-Ter (10 km, 5 hours). Breakfast. Horses riding: pass Tone of 4023 meters above sea level - descent in gorge Tone. Lunch in a way. Plasing of camp on the river Ashuu-Ter 2750 meters above sea level. Pitch up a tent, dinner and overnight. Day 10. River Ashuu-Ter - mountains Uzun-Kyr - natural boundary Besh-Karagai (12 km, 5 hours). Breakfast. Horses riding: to root of a mountain Tash-Tar-Ata of 3847 meters above sea level - zone of wood of mountains Uzun-Kyr. Lunch in a way. Placing of camp in natural boundary Besh-Karagash of 2530 meters above sea level. Pitch up a tent, dinner and overnight. Day 11. Natural boundary Besh-Karagai. Breakfast. Rest. Foot walks in natural boundary Besh-Karagaj, gathering of mushrooms. Lunch. Pitch up a tent, dinner and overnight. Day 12. Natural boundary Besh-Karagaj - gorge Bazarbaj-Bulak - settlement Tamga (15 km, 6 hours). Breakfast. Horses riding: gorge Bazarbai-Bulak of 2300 meters above sea level. Picnic in a place of a panorama of Southern coast of lake Issyk Kul. The further horses riding on sandy canyons returning in settlement Tamga. Accommodation in the guest house. A bath, dinner, overnight. Day 13. Southern coast of lake Issyk Kul, Bishkek (315). Breakfast. 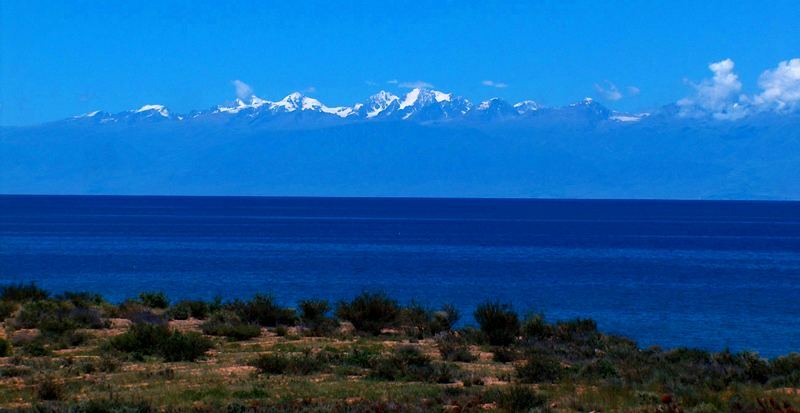 Transfer: settlement Tamga - southern coast of lake Issyk Kul (2,5 km). Rest on lake till a lunch. Transfer: settlement Tamga - Bishkek (313 km). Arrival in Bishkek, accommodation in hotel. Evening walk on city. A farewell dinner, overnight. Day 14. Departure from Bishkek. Breakfast. Accompanying service at departure to airport. The program of tour can be increased about 18 days. are given by organizers of tour on horses and Alexandr Petrov.